We are excited to present the 4th Annual Skater’s Quest Trail Marathon. If you have never participated in a 26-mile event, this is the perfect opportunity to challenge yourself, have fun and raise money for DC Inner City Excellence (DC-ICE). To keep costs down, this is not a chipped time event. NOTE: When you finish entering your information on the left side, please click on the “Update Item Information” button before entering any payment information. The course is on the Indian Head Rail Trail which is 13 miles long. The start and finish will be at the White Plains end of the trail and the turn around will be at the other end Mattingly Avenue. There are intersections to cross to please be prepared to stop for traffic! There are 5 portable toilets along the trail. Eligibility – All participants must be at least 14 years of age. Waiver – All skating participants must check in and complete a waiver prior to skating. Drafting & Etiquette – Cross-gender drafting is permitted. All skaters are requested to skate in the right side of the trail to allow for incident free passing by cyclists. Event Number – All participants must wear their event number on their left thigh and hand in the tear tag when finishing. Protective Equipment – All participants are required to wear a helmet and wrist protection. Knee and elbow pads are recommended. Personal Hydration – It is recommended that all participants bring their own personal hydration system (e.g. water bottle or Camelbak) or have supporters available to hand you water bottles. Need help training for this fun event? 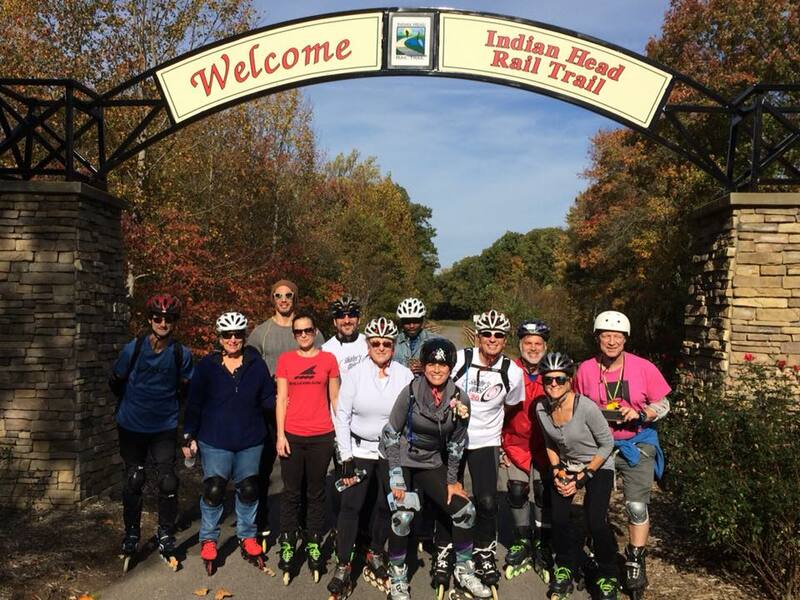 Join the Skater’s Quest Fall Fitness Inline Training (FIT) Program and receive a training plan and a schedule regular practices. Practice starts on Saturday, September 1st! Cost is $100 for the basic FIT Program and there are options to supersize your FIT Program by adding personal training, nutrition services or injury prevention fitness assessments.